Address: 940 Helen Ruth Dr.
Business Description: Brock Restoration is the one stop source for all your southwest Ohio disaster cleanup services. Our team has had decades of experience in the industry, and we’ve become one of the most respected property restoration companies in the region. If your home or business has been damaged by water, fire, wind, or mold give Brock Restoration a call today! Business Description: We are a Heating/Cooling and Home performance contractor. Specializing in Energy retrofits. Installation, Service and Repairs. Business Description: Count on Rainbow International of Cincinnati to handle your emergency water damage needs from investigating small isolated areas to responding to large water damage losses. Water damage originates from many places and must be properly mitigated and dried before the onset of mold and bacteria! Take advantage of speaking to one of our IICRC Certified Water Damage Specialists now, or visit our Water Damage Page for more information. 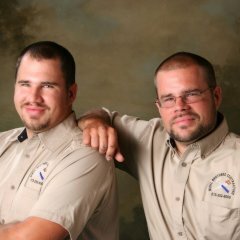 Business Description: Ohio Valley Restoration is your own personal emergency response squad. Our trained and licensed team will be on-site within 90 minutes of your call, ready deal with any home flooding or water damage. When an emergency flooding occurs in your home, make sure that everyone is safe, then call the professionals at OVR. Business Description: Todd Hetz Roofing Inc. offers top quality products and services to the entire Cincinnati Tri-state area. Offering Cincinnati roofing services such as: commercial and residential roofing repairs, reroofing, inspections, assessment, new construction and remodels. We also take care of roofing needs in the areas of gutters, downspouts, gutter guards and ventilation. 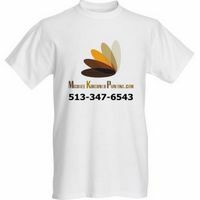 Business Description: Michael Kirchner Painting is focused on providing high quality service and customer satisfaction -- we will do everything we can to meet your expectations. We enjoy our work, and have been painting for over 22 years. We are happy to assist you in color selection, and, if needed, we can help with a multiple color motif. Business Description: Windows & More is a locally owned and operated business. We have been in business since 1996. We use only Pittsburgh Corning glass block in all of our construction, insuring that you have the best possible installation. We are fully insured and guarantee all of our work. Our products are of the highest quality at competitive prices. All estimates are free and there is never any high pressure selling. Business Description: Welcome to Champion. We are pleased you have taken the time to visit our website. We hope you find it both educational and informative. Without a quality product backed by excellent customer service, a business will not realize great success. Therefore, we set our standards of quality, value and customer service to the highest degree. We go the distance to ensure your experience with Champion is a pleasurable one. From the initial purchase, installation and years later, you will find us ready and willing to serve you. Business Description: Today, industrial buyers need honest value. That’s why The ForkLift Works provides used lift trucks, scissor lifts, boom lifts and utility vehicles—because used can be the ideal solution. We’ll help you find the right industrial truck to fit your application, and we can help with leasing, too. The “Works” in our name means we also have 15,000 new industrial products. This includes dock equipment, racks, cranes and more with quick shipping in the U.S.
Business Description: For over 10 years MCSP has specialized in Manhole Rehabiliation work, offering both PRODUCTS and SERVICE. 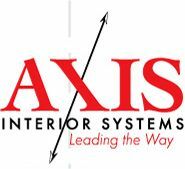 Business Description: Axis Interior Systems is a successful, respected merit shop flooring contractor specializing in all types of commercial floor covering. From the most intricate Terrazzo pattern in an industrial sized public space, to carpeting a small office, we have the skill, knowledge and personnel to complete any project effectively and to the satisfaction of the most particular client. As a result of our expertise, we have had the opportunity to work with some of the leading general contractors and architects in the nation. In addition, we’ve had the privilege to have many of our signature projects featured in numerous national and local publications. Our business philosophy quite simply is “LEADING THE WAY”. Our primary goal is to deliver quality projects on time and on budget while still providing unbeatable workmanship to the satisfaction of the client. We do this by providing professional people who are committed to detail and discipline on every aspect of our projects. Business Description: Clarke Contractors, Inc. is focused, first and foremost, on customer satisfaction. Since 1997, we have taken great pride in providing our customers with the highest quality of service. Clarke Contractors, Inc. is committed to fast and reliable response time, quality craftsmanship, and reasonable pricing by using Xactware estimating software. Clarke Contractors, Inc. specializes in restoration, remodeling, and emergency service. Business Description: Exterior and interior remodeling. 11 years of on hand experience in installation, color selection, home transformation, window sales, roofing Vellux skylights, gutters continuous aluminum, guards Mastic Leaf Relief, siding all types, decking be it treated lumber or composite, property management, and "Honey do lists". Business Description: Thinking about remodeling your home or building on a room addition? Our team of experts can help you from the design to the completion. Has your home been damaged from recent storms including wind, hail or water damage? Whatever your immediate need we’re here to help. We know it can be frustrating finding one company that can do it all, WE CAN! From the exterior to the interior. Business Description: We want to provide the best service for your lawn and landscape maintenance needs. Full service mowing includes grass cutting, trimming and blower cleanup. Landscape maintenance includes bush, shrub, and tree trimming/pruning, weeding, mulching and plant replacement. Fall can be messy with all the leaves falling. Call us for your fall cleanup needs. Winter can be a struggle. Snow removal is available. Don't hesitate to call for anything you may need or want to keep your lawn or landscape looking it's best. Business Description: Acme Tree and Landscape Service, Inc. is a successful well established West Side - Cincinnati, Ohio tree and landscaping company owned by the Griffin family since 1940, spanning four generations. Business Description: Over 35 Years in experience! Business Description: This firm is a small, but dynamic, law firm located in the Cincinnati, Ohio suburb of White Oak. It serves the legal needs of individuals and families, businesses and professional practices throughout Southwestern Ohio, and also represents a number of regional and national clients. Business Description: RE/MAX of Southern Ohio is a company built on the promise of exceptional customer service. Whether you are selling your home or searching for that special place to call your own, you deserve to work with someone who has your best interests in mind. I realize that something as valuable as your trust must be earned. Address: 14893 Cool Springs Blvd. Business Description: A mission for creating a purer, higher standards approach to advertising messages that uplift and inspire the consumer. It’s Promotion without Perversion. Sales without Seduction. Business Description: We help clients with retirement planning, wealth management, pension maximization, medicaid planning and insurance for life, health, disability and LTC. Business Description: At Crew Capital Management, strategic planning and the development of a strong client-advisor team will assure a successful relationship that is focused on the client. Education and understanding are crucial building blocks of this team relationship. Business Description: Union Savings Bank is a state-chartered savings association headquartered in Cincinnati, Ohio. Founded in 1904 on the premise that a savings association should serve the community by encouraging savings and promoting affordable home ownership through prudent lending of deposits, Union now operates 25 full service Savings Branches in Cincinnati, Dayton, Columbus, Ohio and Indianapolis, Indiana. Business Description: Hoeting Realtors was founded in 1991 with deep roots stretching well over 50 years in the Greater Cincinnati Real Estate Community. Specializing in Western and Northwestern Hamilton County, we consistently have the highest volume per agent in the industry and our agents are professionally-trained to meet your real estate needs! Our agents have served generations of families now with much of our business cultivated from customer referrals. And for this we say "Thank You" to our friends, family and neighbors! 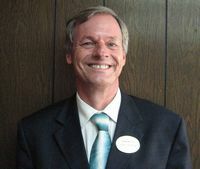 Business Description: Buying or selling a home is a big project but when you approach it with the right attitude and agent, it can also be fun. If you need to buy or sell real estate in the Cincinnati or South Dayton, Ohio area, we can help you get where you want to be. Business Description: Stewart & Associates is located in Florence, KY and has served the Northern KY | Cincinnati region since 1991. We're an independent agency offering Auto, Home, Business and Life insurance solutions. As a trusted advisory group, we believe it's our responsibility to provide you with great service, the right coverage and best pricing available. We take pride in our work and strive to give our clients the personal service and financial protection they need. Business Description: Compassionate, hard working Realtor with a flare for laughter, a desire to help, and a record of success. I make every effort to reduce the stress involved with buying a home. Business Description: I'm a firm believer in the importance of developing and measuring goals to achieve a long term vision. I work with my clients to ensure the vision they have for their families' financial well-being is supported by a specific, measurable plan that is tailored to their unique needs. 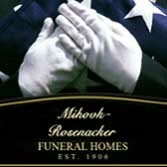 Business Description: Mihovk-Rosenacker Funeral Homes, a locally owned family business, is a long standing family funeral homes. 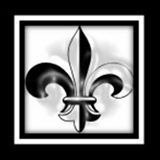 Mihovk-Rosenacker Funeral Homes is based on a commitment to remain family owned and provide high quality services at affordable prices to the Greater Cincinnati Area. Business Description: For-Most Specialties LLC is a full service promotional products company. Established in 1994 we offer quality products and outstanding service on over 500,000 promotional items. We have a talented sales staff, great customer service people, LIVE people that answer your telephone inquiries, and a full service art department. Business Description: Upper Eden in Mt Adams is a celebration of the creation in Stones, Glass and Art. Only in Mt Adams can you find the most unique shopping experience. This inspiring boutique is showcasing gorgeous jewelry…….. Charles Albert with his one of a kind gemstones, Zina sterling silver from Beverly Hills and Handbags from Paris just to name a few. Art glass from all over the world. Last but not least……….. an art gallery in back featuring local artists. Absolutely a destination well remembered. Todd Arthur - Schwaab Inc.
Business Description: Today, over 126 years later, Schwaab, Inc. ownership continues to remain solely among the descendants of Andrew Schwaab and their families. Schwaab’s current Board of Directors includes Richard Schwaab Mayer (grandson of Andrew Schwaab), George L. Mayer (great grandson of Andrew Schwaab) and Sarah Noble Lane Starrett (great granddaughter of Andrew Schwaab). Business Description: AllPro Technologies | Computer Repair Cincinnati Residential computers have different repair and maintenance needs than a business computer. A residential system usually exists on its own. It is not part of a business network and it doesn't need to talk to the other computers. Home systems may not need the advanced networking and file sharing setups that businesses require. When it comes to computer repair, residential computers are easier to fix, and simpler to maintain. AllPro Technologies understands the unique situation that residential computer owners face. Business Description: ABS Business Products is one of the largest independent office technology and document solution providers in the tri-state area of Cincinnati Ohio, Northern Kentucky, and Southeastern Indiana. We provide solutions to all your office printers, copiers & scanning needs. We have color and black & white MFP devices, shredders, and Document Management software, as well as networking support for our products. Our Managed Print Services can save your company up to 30% on printing costs! 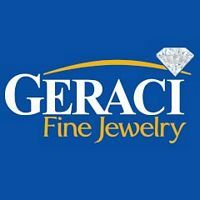 Business Description: Geraci Fine Jewelry is your home for custom jewelry in Cincinnati. Your custom designs and ideas will become a reality with the help of our quality staff. All design and repair work is completed in our store. With more than a quarter of a century in business, we are proud to have served multiple generations of our client’s families. You can rest easy knowing that our highly recommended staff will care for your custom jewelry design and repair needs. Be sure to LIKE us on Facebook, so that you don't miss any of our special, Facebook-only promotions. Business Description: Welcome to Enlighten Spa, Cincinnati's most natural spa experience. ease the body....ease the mind.... When your body aches, muscles are tight or you just need to be pampered, it's time to allow our experienced therapists to soothe what ails you. Leave feeling refreshed and "Enlightened"
Business Description: We are your premier choice for CrossFit Training in the Northern Kentucky area! We’re conveniently located in Florence Kentucky off I-75 and Route 18 next to Tom Gill Chevrolet. 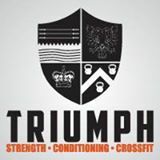 We offer Crossfit, CrossFit Kids, competition prep, barbell club, endurance classes, Spartan SGX, lunchtime workouts, Free beginners program, Free community classes, personal training, sports specific training and fun social events. Our training staff is best in class with over 40 years of combined experience backed by 30 plus certifications and growing. We pride ourselves in offering superior strength and conditioning coaching. Business Description: Welcome. Lutz Flowers & Gifts has been providing Cincinnati the finest in flowers and gifts at affordable prices since 1918. We have served generations of Cincinnati families and consider all of our customers family. Lutz Flowers & Gifts remains a family owned business. 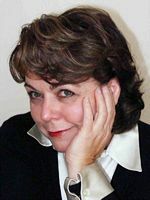 Lutz Flowers was an original member of FTD. We provide the finest in flowers, blooming plants, plants, hanging baskets and gifts. We provide services for weddings, parties, special occasions, corporate events, parties and offices. Business Description: Serving the West Side since 1939. With state of art equipment and a hands on approach to customer service, Kroner Dry Cleaners continues to give all our customers a personal touch. Business Description: A chic boutique specializing in high quality, unique, fashionable and fun baby clothing and accessories, as well as specialty gifts. Business Description: Rapid Copy Printing is a full service print media provider supplying quality printing and design services to the Greater Cincinnati area. Currently, we serve the tri-state area around Cincinnati in southwest Ohio, although many of our clients are based across the U.S. Founded in 1979 on the principles of quality product, competitive pricing, and dedication to our clients, the staff at Rapid Copy Printing aim to supply professional printing paired with personal service. Business Description: For over 65 years the Woodhull name has come to mean exceptional local service and support for document imaging. Woodhull, LLC is a single line provider for Ricoh offering a complete line of integrated office solutions. Woodhull is also a leader in providing solutions for electronic document storage, retrieval and management. Woodhull partners with our Customers to achieve document management with meaningful cost reductions, improved productivity and environmental stewardship. Woodhull’s emphasis on 100% Customer satisfaction, while providing total document management solutions, sets us apart from our competitors. 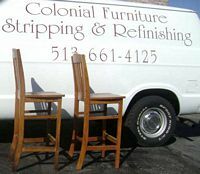 Business Description: Serving the good people of Cincinnati for over 30 years! Business Description: Mel's Auto Glass Co. is a family-owned, independent auto glass replacement and windshield repair company servicing the Greater Cincinnati, Dayton, and Northern Kentucky communities since 1987. We are proud to be one of the largest family-owned auto glass businesses in the U.S. and realize our customers deserve the credit for our success. Address: 6918 Fairfield Bus. Ctr. Business Description: Cliff Jacobs Wheel Repair is an innovator in the repair of bent and damaged alloy wheels. Proprietary, exclusive processes and wheel repair equipment allow us to deliver repairs that are straighter (tighter tolerances) and less expensive than the competition. Best of all, convenience and quick turnaround time get you back on the road quicker. We're wheel repair experts - it's all we do! 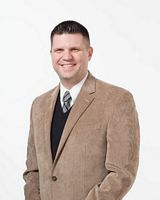 Business Description: Welcome to Jake Sweeney Mazda West - Cincinnati Area Mazda Dealer Jake Sweeney Mazda West is recognized among other dealerships in Cincinnati for its unbeatable selection, unmatched service and stellar pricing! At Jake Sweeney Mazda West, our philosophy is simple. If we sell the best vehicles at the lowest prices and treat our customers with respect, we will be successful. As one of several Ohio Mazda Dealers, we understand that we have to work hard to earn and keep your business. Located at 2301 Ferguson Rd. Cincinnati, OH. Jake Sweeney Mazda West is your source for new and used Mazda vehicles. Our goal is to make as many OH, Western Hills, Mason and Green Hills Mazda customers as satisfied as possible when it comes to price, selection, and customer service. 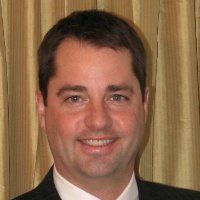 It is through treating people right that Jake Sweeney Mazda West separates itself from Mazda Dealers throughout Ohio. Business Description: While we work with all Insurance companies, our #1 priority is always our customer! We offer a lifetime warranty on our workmanship, guarantee the paint match on your automobile, and do it all in a friendly, professional manner ! Business Description: THE HIGHEST-QUALITY GLASS SOLUTIONS — FROM OUR FAMILY TO YOURS Not all glass repair and replacement companies are created equal. 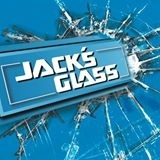 If you're looking for the local experts who know more about glass than anyone in the business, it's Jack's Glass. Our family has excelled in glass repair, replacement and design for more than 65 years — serving Cincinnati & Northern Kentucky with locations in Elsmere, Covington, Alexandria & Dry Ridge. Business Description: We ensure that every event is attended by smiling and attentive staff and highlighted by unforgettable cuisine marked by consistently simple, yet elegantly prepared meals, using only the finest, freshest and most local ingredients available. Maintaining exemplary customer service; extending knowledge, warmth, graciousness, professionalism and integrity in our work, we enhance client experiences. Our commitment to meticulously execute all details so that the client can simply enjoy the event, and every deliciously, well-served bite is why our catering services are a step above the competition. Business Description: We are delivering a week’s worth of meals (lunches or dinners) packaged and ready to heat every Wednesday to your home or business. Orders must be placed by Monday. 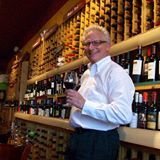 Business Description: Marty's Hops & Vines grew from the owner's love of the British pub - a comfortable and relaxing place to enjoy friends and to refresh from a busy day. In a 1920s building brought back to life with love and character, you'll find comfortable seating and a charming antique bar to set the mood.